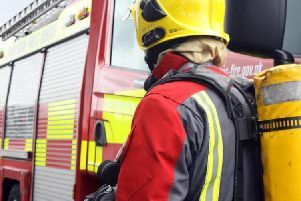 Firefighters rescued an injured person from a vehicle involved in a crash at Whittington Moor. A crew from Chesterfield were called to the incident involving two vehicles on Lockoford Lane at 7.35pm on Monday (November 26). One person was trapped by injuries and assisted from the vehicle and placed in care of ambulance then conveyed to hospital. The vehicles were made safe.